The Spirit of God was not yet given, but once the LORD completed the work for which He was sent to Earth, and the Father glorified Him via the crucifixion and made His soul an offering for sin (ISAIAH 53:10), the opportunity for saints to be indwelt by the Spirit of God, sealed by the Spirit Who is our earnest in fact became a reality (2 COR 1:22)! No other age in all the history of the Bible afforded such an astonishing privilege as to literally become the temple of the Holy Spirit (1 COR 3:16)! This is something distinct with the body of Christ, the church of the living God (1 TIM 3:15) in this present age. However, once the Messiah returns to this Earth that He also purchased with His own blood (REV 5:9) Israel will receive Him and the prophecy of EZEKIEL 36:26 will be fulfilled (ZECH 13:6; ROM 11:26). Yet where we are now in the study of MATTHEW is the midst of that ministry of sacrifice, atonement, propitiation, redemption and judgment. 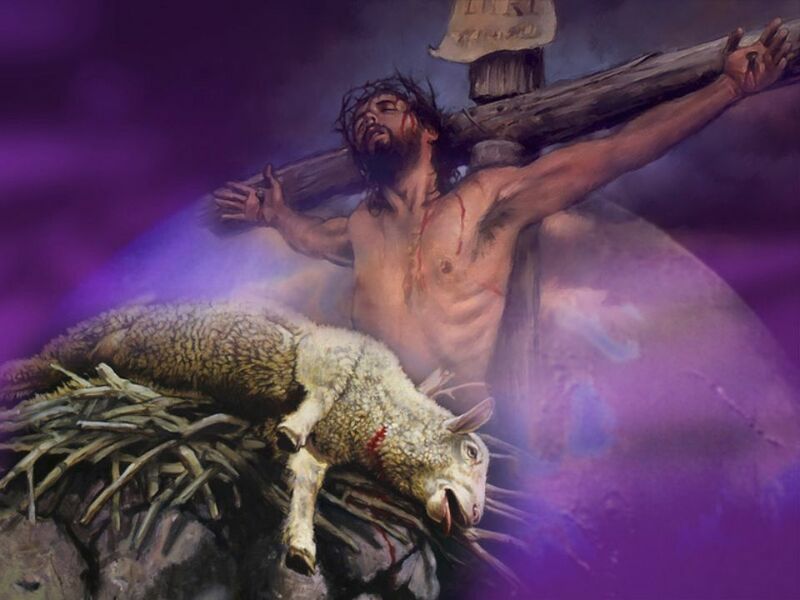 Our LORD, our LAMB of GOD Who takes away the sin of the world (JOHN 1:29), was cut off from the land of the living: for the transgressions of His people Israel, was He stricken (ISAIAH 53:8) . . .
34 They gave him vinegar to drink mingled with gall: and when he had tasted thereof, he would not drink. 35 And they crucified him, and parted his garments, casting lots: that it might be fulfilled which was spoken by the prophet, They parted my garments among them, and upon my vesture did they cast lots. 36 And sitting down they watched him there; 37 And set up over his head his accusation written, This Is Jesus The King Of The Jews. The crucifixion is a diabolical device of such excruciating torture that the agonizing pain literally drove people insane. Why would the LORD then refuse this gall that would have deadened His torment? Because He was in our place, and would accept a different cup – the wrath of God’s righteous and holy judgment against sin (MATT 20:22; 26:41-43) – my sin, your sin: such was the glory of our High Priest, suffering the unimaginable wrath of God against all the sin of the entire human race, compacted into just 6 hours on the cross! They parted His garments – the only possessions He owned while in this world, precisely as prophesied (PSALM 22:18). This was only one prophecy fulfilled at the crucifixion; there are many others you can read about here; and even more Messianic prophecies concerning the entire life and ministry of the LORD Jesus Christ can be found in this article. And more prophecies still that prove irrefutably that Jesus of Nazareth is assuredly the Messiah, God made flesh can be viewed here. 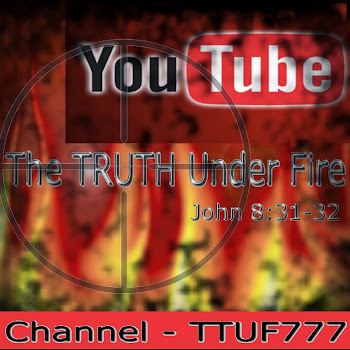 The Roman accusation was absolutely true about Jesus; and while they meant it in scorn, it was nevertheless absolute truth: Jesus of Nazareth, KING (Messiah) of the Jews! And whereas He was utterly rejected by His people the first time – He is arriving soon to this world to rescue Israel from the Satanically-inspired world, under the rule of the coming anti-Christ and will be gloriously received at that time (This is a prophetic pattern seen in types of Christ in the Old Testament, in such as Joseph and Moses, both of which were rejected at first, but later received by their Hebrew brethren; read Stephen’s exemplary commentary on this in ACTS 7. He was rejected and despised even by convicted criminals who would soon be dead and buried, along with the Author of Life Who would “[make] His grave with the wicked” (ISAIAH 53:9). These taunts from the people could have just as easily proceeded out of the mouth of Satan himself. Yet their mockery displayed their ignorance. It wasn’t the temple in Jerusalem that the LORD referred to as being destroyed (that would happen 70 years later, just as the LORD said (MATT 24:2) and then in three days He would raise it up – it was the temple of His own body (JOHN 2:19)! And He made good on that promise, rather than answering their taunts by miraculously delivering Himself from the cross and His holy office of redemption!! Had He answered them with such a response, we would not be delivered ourselves (ROM 4:25)! Incidentally, do a word study in the Scriptures on “three days” and you’ll be amazed at the implications that refer to this very act of redemption accomplished by our Redeemer! 41 Likewise also the chief priests mocking him, with the scribes and elders, said, 42 He saved others; himself he cannot save. If he be the King of Israel, let him now come down from the cross, and we will believe him. 43 He trusted in God; let him deliver him now, if he will have him: for he said, I am the Son of God. 44 The thieves also, which were crucified with him, cast the same in his teeth. A careful study of the Messiah from the Old Testament will reveal that He is none other than GOD the SON made flesh! And here we see the apex of anathema, the utter rejection of the Messiah by the people; yet this was also the paramount of propitiation: for the Father likewise turned His face away from His Son: ‘dis-fellowshipped’ as it were: “Why have You forsaken Me?” For our Sin-bearer bore at this time all the sins of the world. This was a darkness beyond our comprehension but one that our LORD was baptized in (MATT 20:22). 47 Some of them that stood there, when they heard that, said, This man calleth for Elias. 48 And straightway one of them ran, and took a sponge, and filled it with vinegar, and put it on a reed, and gave him to drink. 49 The rest said, Let be, let us see whether Elias will come to save him. There had to be at least some level of expectation on the part of this pernicious audience; some measure of doubt as to a potential mishap that would be realized if indeed Elijah actually came and rescued this man of Nazareth. But as they waited and watched. . . nothing happened. 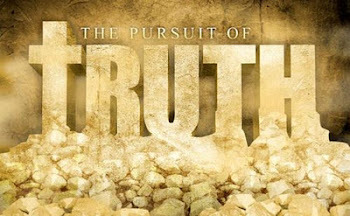 Their doubt was relieved, much to their detriment, for they ignorantly killed the “Prince of Life” (ACTS 3:14-17). In the yielding up of the ghost, He Who possessed the nature of Deity and eternal life died, for the wages of sin is indeed death (ROM 6:23a). The fact that the Author of Life died, proves that it was our sin that He paid for. The fact that He rose from the dead, conquering sin and death, proves that eternal life is available by God the Son Who consumed all of God’s Holy judgment against sin. Furthermore, with the rending of the veil in the Temple (this was no mere translucent, tissue thin veil, but a considerable, woven wall of material that couldn’t possibly be shorn by human might. This, along with the earthquake and even rocks being shattered) by Divine intervention, it signified a new dispensation. At Yom Kippur (the day of atonement; LEV 8:33-35), after streams of flowing blood from sacrificial animals, and by intricate ritual and ceremony, the high priest alone would enter into the Holy of Holies, behind the veil, and stand in the presence of the Almighty! The LORD having completed the acts of redemption as our kinsman-Goel, paid the price that no sacrificial animal could accomplish (HEB 10:3-5). The requirement of a Temple had been nullified and the “new and living way” established: we are indeed the Temple of the Holy Spirit (1 COR 3:16). It was at this time that the spirit of the LORD Jesus, descended into Sheol (PSALM 68:18; circa EPH 4:8-10), the resting place of the dead, and into what’s been called “Abraham’s bosom” where the righteous dead dwelt (LUKE 16:19-31); these who believed in the Messianic prophecies and expressed faith in the coming Messiah and were saved just as Abraham was, by faith in the Word of God (ROM 4:3). 16 This is the covenant that I will make with them after those days, saith the Lord, I will put my laws into their hearts, and in their minds will I write them; 17 And their sins and iniquities will I remember no more. 18 Now where remission of these is, there is no more offering for sin. 19 Having therefore, brethren, boldness to enter into the holiest by the blood of Jesus, 20 By a new and living way, which he hath consecrated for us, through the veil, that is to say, his flesh; 21 And having an high priest over the house of God; 22 Let us draw near with a true heart in full assurance of faith, having our hearts sprinkled from an evil conscience, and our bodies washed with pure water. 53 And came out of the graves after his resurrection, and went into the holy city, and appeared unto many. 54 Now when the centurion, and they that were with him, watching Jesus, saw the earthquake, and those things that were done, they feared greatly, saying, Truly this was the Son of God. 55 And many women were there beholding afar off, which followed Jesus from Galilee, ministering unto him: 56 Among which was Mary Magdalene, and Mary the mother of James and Joses, and the mother of Zebedees children. What an astonishment it must have been for the people in Jerusalem to witness these events with their very own eyes; put yourself in their place: they saw these people rise from the dead, after Christ Himself rose from the dead. Who were these “saints”? Perhaps the same ones that the LORD liberated from Sheol? Or simply those who were alive shortly before this time, and were granted more temporary life, until they finally met their appointment with death, like Lazarus (HEB 9:27). I think I lean more towards the latter instance myself. In any event, these things would be undeniable as well as unprecedented – something that would be shared no doubt around many a dinner table in Jerusalem for years, even decades to come! Most especially by these women that “were there, beholding afar off”. Even the pagan Roman centurion was taken aback by these things and declared Jesus as “the Son of God”. 57 When the even was come, there came a rich man of Arimathaea, named Joseph, who also himself was Jesus' disciple: 58 He went to Pilate, and begged the body of Jesus. Then Pilate commanded the body to be delivered. 59 And when Joseph had taken the body, he wrapped it in a clean linen cloth, 60 And laid it in his own new tomb, which he had hewn out in the rock: and he rolled a great stone to the door of the sepulchre, and departed. 61 And there was Mary Magdalene, and the other Mary, sitting over against the sepulchre. In MARK’s GOSPEL account, we read that Pilate was amazed that Jesus was dead already (MARK 15:44), having only been on the cross for six hours when people had been known to survive on these instruments of cruelty for days. It was considered a mercy to break the legs of criminals charged with this punishment as it expedited death. Joseph of Arimathaea, a religious leader and a wealthy man must have been an individual known personally by Pilate, because not everyone could approach a Roman Procurator without some sort of political or financial clout backing them up. He laid Him in his very own, brand new tomb after ministering to the body of Jesus the customary burial procedures (vs. 59). After placing an enormously heavy sepulcher stone in front of it (to avoid predation on the corpses by wild animals or even thieves that would rob graves to steal precious belongings that were sometimes buried with the rich), he left. Mary Magdalene and her companion witnessed this themselves (vs. 61). The LORD informed His followers that He was to be crucified and die, but that He would rise again on the third day; but none of them seemed to remember this until after the fact. The cross is the supreme representation of how we as Christians should view things: Peter himself, when the LORD told all of His disciples that He would soon die, scolded Him for such ‘negativity’ and what was the LORD’s response to him? As far as the disciples were concerned, the crucifixion of their LORD and Master was the greatest tragedy that they could have imagined. All of their hopes and dreams for the inauguration of the Kingdom of Israel in a single day was dashed and plunged them into despondency. The truth of the matter however is that this was the greatest and best thing that could have ever happened: Christ declared from the cross: “It is finished!” The penalty and judgment of all the sins, of all of humanity, throughout the entire history of the world was paid for by the LAMB of GOD (JOHN 1:29). Having accomplished His mission on Earth, He then ascended back to the Father, and sent the Holy Spirit to indwell all who by faith received Christ, believing the Gospel and repenting of their sons. They were then empowered to preach the Gospel to all the world, and while they were martyred, they had the incorrigible hope of the resurrection – and of the coming kingdom of Israel which the Messiah would indeed inaugurate at His Second Advent. When we witness tragedy and calamity charge into our lives, leaving us bewildered and reeling, while the sorrow and anguish over such things is legitimate, we must take the higher view of these things; God is love, and being assured of that love by the proof of Christ, willingly dying for our sins, we can afford to place our implicit trust in Him, no matter how terrible the trial that afflicts us may be. And just as the end of the matter regarding the Passion of Christ revealed the greatest glory and most profound hope in the Risen LORD of Life, we can trust that the LORD can, and will transform these tragedies and trials into triumphs and testimonies of His great glory and grace! AMEN? The Pharisees want to ensure that their ‘final solution’ of ending Jesus didn’t backfire on them; they anticipated a potential plot by His disciples to steal the body and declare a false resurrection. So they implore Pilate to provide a guard so this couldn’t happen. But there is something about Pilate's remark that makes me rather curious. . . In JOHN’s Gospel we read about how the Sanhedrin brought Jesus before Pilate and sought for His execution, but Pilate was not only unconvinced that this man from Nazareth was guilty of any wrong doing, but that He was actually being wrongfully accused – that He was innocent. 7 The Jews answered him, We have a law, and by our law he ought to die, because he made himself the Son of God. 8 When Pilate therefore heard that saying, he was the more afraid; 9 And went again into the judgment hall, and saith unto Jesus, Whence art thou? But Jesus gave him no answer. The Romans generally gave no regard for Judaism and all the talk about a coming Messiah who would vanquish Israel’s enemies, so one would wonder why a pagan like Pilate would be “the more afraid” at hearing that Jesus claimed to be the Son of God. I believe that in this Roman’s own theology of the pantheon of the gods, along with the demi-gods “the sons of the gods” – that Pilate may well have suspected that this Jesus just might be one of them. It makes sense that he then asks Jesus, “where are you from?” (vs.9). So here in the Gospel of MATTHEW, when he provides a guard with an official Roman seal (sealing the stone”), he then says “make it as sure as you can” – I’m reading that as Pilate expressing some level of skepticism. If he truly suspected Jesus of being a demi-god, then no number of soldiers or a Roman seal would prevent him from escaping that tomb. Again, if Jesus were not the WORD made flesh, any claim on His part to rising from the dead after three days would prove false, and every other claim He made during His ministry would be discounted. Making such a statement would be a gamble which inevitably would prove false. The very fact that He did rise from the dead, precisely as He said He would, and without any denial recorded in Scripture or other sources written in that time by His enemies (and if He really didn’t rise from the dead, the testimony from those that opposed Him would be in over-abundance!). The conclusion of all the facts and evidence is clear: Jesus, God the Son, the WORD Incarnate did indeed rise again from the dead on the third day. This is the cornerstone of the Christian’s unshakable hope; the anchor and sure foundation of our faith.